The Academy has a long-standing partnership with Pulse Sports Therapy Services, which offers a range of physiotherapy and sports therapy services at the Academy's Therapy Clinic. For more information visit Therapy Services. Get Active London is a directory of Sports Activities that take place in and around London. England Rugby is the national governing body for grassroots and elite rugby in England and provides financial and coaching support to LSBU's Rugby Club, enabling the students to improve their skills and attend events. Additionally, LSBU and England Rugby co-fund a Rugby Development Officer position, providing coaching courses and other opportunities for students and staff. This includes O2 Touch Rugby sessions providing informal drop in sessions for LSBU students and the wider community to engage in the sport. We are a PayAsUGym partner here at the Academy of Sport. You can purchase vouchers on the website. Greenhouse Sports are a London-based charity, committed to using sport to help young Londoners realise their full potential. It contributes inspirational sports coaches to LSBU's Student Sports Programme and the University shares its sports facilities with the charity. The partnership focuses on the Academy's Basketball programme and Greenhouse Pioneers' Basketball Club. PRO-ACTIVE Central London is one of five sub-regional sport and physical activity partnerships operating across Greater London with the aim of increasing regular participation in sport and physical activity across all sectors and communities. Interactive is the lead strategic development agency for sport and physical activity for disabled people in London. It's key role is to ensure that providers and policy makers understand and act upon their responsibility to be inclusive of people with disabilities. YMCA Awards British Universities & Colleges Sport (BUCS) is the national governing body for Higher Education (HE) sport in the UK. LSBU has over 20 sports team as well as offering the Universal gym membership allowing access to BUCS affiliated gyms. Find out more. 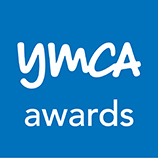 YMCA Awards is one of the UK's leading awarding organisations in the health, fitness and wellbeing sector.It develops and awards industry-leading qualifications to people in the health and fitness industry. The organisation currently accredits the majority of the Academy's fitness short courses. 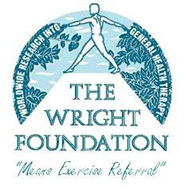 The Wright Foundation is a leading training provider to the Leisure Industry. They formulated the first medically led Exercise Referral Programme Qualification in conjunction with leading Medical and Physiological Professionals and Principal Universities. They currently run many of their courses at the Academy and are assisting it towards the Wright Foundation's Quality Mark Centre of Excellence. Holistic therapies provided by AngeHarmony. Marie-Ange Jean-Baptiste is a fully qualified Reiki Master Teacher and ITEC-qualified Massage Practitioner. Services on offer include Reiki, Indian Head Massages, Hand and Arm Massages and Natural Head Massages. Book an appointment online or email ange.harmony@yahoo.co.uk.